Home » Frequently Asked Questions » Is it Possible that I Can Go Back to my Old Job After the Comp Case is Over? Is it Possible that I Can Go Back to my Old Job After the Comp Case is Over? While there is nothing in Georgia’s workers’ compensation statute that prohibits employers from taking back an injured worker after settlement of his workers’ compensation claim, in practice this type of return to work is very rare. In almost every case, your employer will demand your resignation as part of any settlement of your case. Why? First, employers believe that if you have been injured once, you are at higher risk for a second injury. Second, they may be concerned about office morale – workers’ compensation cases often become adversarial, or even hostile. Some employers feel that bringing a worker back who has negative feelings about his employer is a bad business decision. 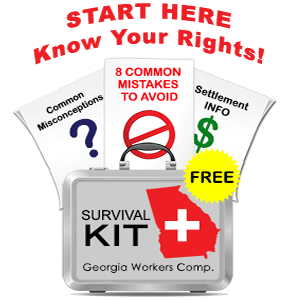 The adversarial nature of workers’ compensation claims arises from the system created by the Georgia legislature. In my experience, insurance companies see injured workers as problems that need to be resolved as quickly and as cheaply as possible. As counsel for injured workers, I see my clients as honest, hardworking men and women who need protection against these insurance companies. I think that is you are going in to your workers’ compensation case expecting that you can both recover a large settlement and get your old job back, you have unrealistic expectations. In my view, there comes a point in every workers’ compensation case where you need to recognize that you have become “damaged goods” to the insurance company and that you (and I) need to fight to get you quality medical care and maximum financial compensation.